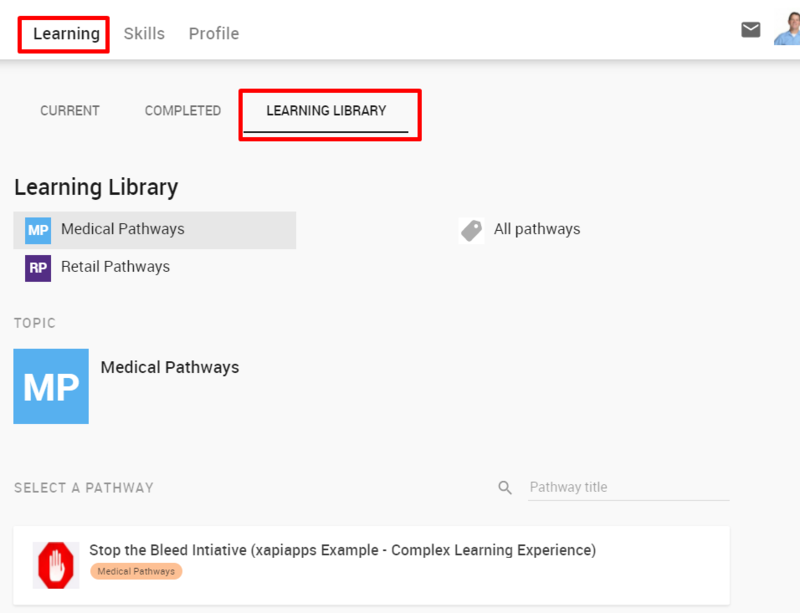 The learning library is where you can assign yourself some learning (pathways). You can find your Learning Library under Learning and then click Learning Library tab. Available topics are displayed at the top of the library. 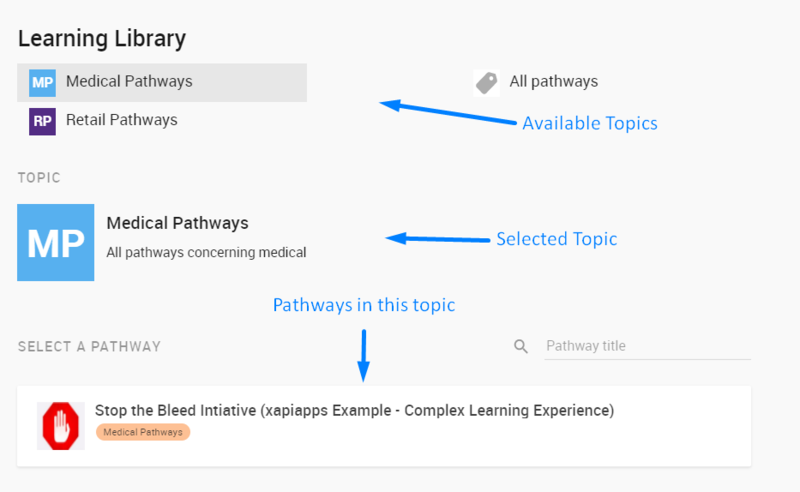 Select a topic to show the pathways associated with that topic. To view a description of the pathway click on the pathway. Step 3: Click "Add to My Learning"
Step 4: When the loader on the pathway is done it will say "Added to Learning"
Step 5: Click on Learning tab and then click Current. You should see your newly added pathway in the list. What is a Learning Library?